Greetings again from the darkness. 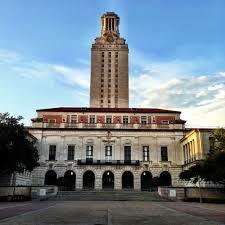 As a UT alumnus, the numbers are etched in memory. August 1, 1966. The 27th floor. 16 dead. 32 wounded. 8 months pregnant. 96 minutes. But thanks to director Keith Maitland, the story he tells is what lies behind those numbers … the innocent people involved that tragic day almost 50 years ago on the campus of the University of Texas at Austin. A beautifully creative approach blends archival news footage, on-site live radio reports, amateur photography, rotoscopic animation, and the captivating recollections of the survivors in their own words (as read by actors). Given the use of animation, it’s more of a reconstruction than a reenactment, and it’s incredibly intense as we are transported to the day a lone gunman shattered more than the peacefulness of a sunny, hot August day in Austin. It was a day that shook the country, and caused terror, confusion and panic … and also acts of heroism. By focusing on the victims and those who had no choice but to be involved that day, director Maitland makes little mention of the shooter (a name I won’t publish here). We hear the words of Clare Wilson, the first shooting victim who was 8 months pregnant at the time. We also hear the words of Allen Crum, the University Co-op manager, whose heroic actions helped put an end to the tragic events of the day. Of course, police officers Ray Martinez and Houston McCoy are credited with ascending 27 floors and taking down the bad guy, and it’s mesmerizing to hear their recollections of that day. It was also fascinating to hear the replays of the on-site reporting from Neal Spelce of KTBC radio as he made his way around campus – reporting live to the nation. We also learned many details about how the police responded, how citizen vigilantes jumped in to help with their deer rifles (it is Texas after all), and how some acted so valiantly in the face of horror, while others understandably went ducking for cover. There is also the extremely moving mass assembly of quiet support as the ordeal finally ended. Political commentary is minimal and confined to the very end as we are informed that, quite ironically, August 1, 2016 will mark the 50th anniversary of this event … and it’s also the day that the new Texas campus carry law goes into effect. There are also reminders of more recent mass shootings: Columbine, Virginia Tech, Sandy Hook, and the Aurora, Colorado movie theater. In the post film Q&A, director Maitland addressed, what he called the disruption of public space and how it leads to various responses by ordinary people … some quite heroic and selfless. Much of the film follows the extraordinary Texas Monthly article by Pamela Colloff entitled “96 Minutes”. It’s a must read and the perfect complement to this exceptionally well made and emotional documentary (which will air on PBS later this year). This entry was posted on Friday, May 6th, 2016 at 10:18 pm and is filed under Documentary. You can follow any responses to this entry through the RSS 2.0 feed. You can leave a response, or trackback from your own site.